HAND CUT or LASER CUT MARQUETRY? 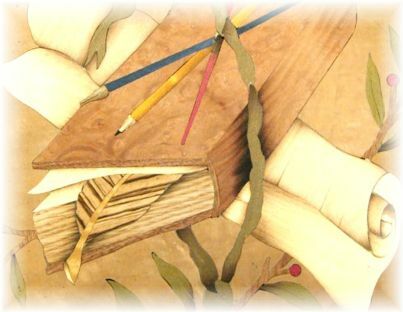 Ok let`s start by dispelling some of the myths surrounding marquetry production. Is Laser Cut Marquetry better quality than Hand Cut? Firstly of course,it depends who is cutting it( especially if its Hand Cut),and secondly it depends on the pattern.I've seen poor examples of both methods! Hand Cut refers to either fret sawn, scalpel,guillotine or knife.We use 'On the line /Off the line' techniques when we fretsaw, to avoid blade width gaps around components, we do not employ multi-pad cutting, it would be better to laser cut than use that method. 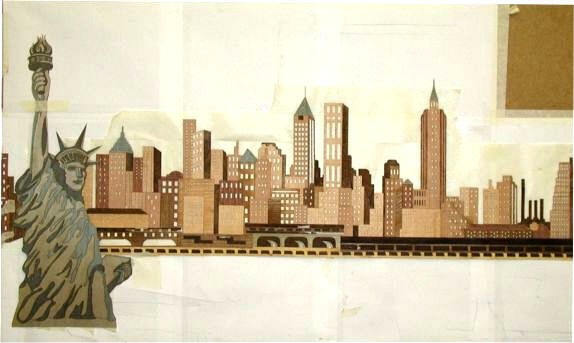 Laser Cut is made using laser cutting software and machines. 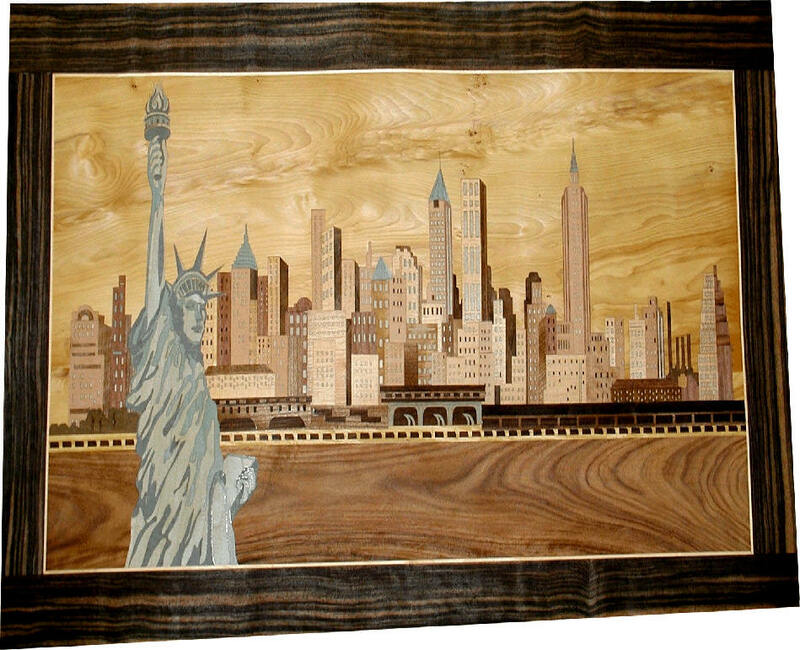 Most Marquetry companies either Laser Cut or Hand Cut, we do both and choose the best method for the job. And of course for massive repeat runs the laser will produce identical pieces in identical production times. 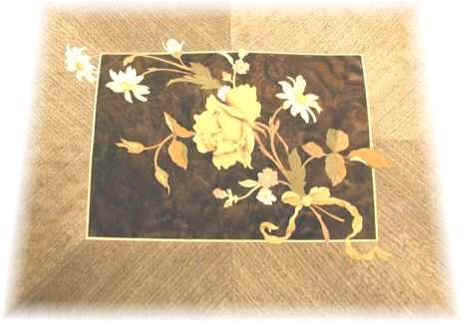 Some of our clients insist that we supply them with Hand Cut Marquetry, and they sell the piece as such. Thats fine too, as high quality hand cut has a definite organic feel that some laser marquetry companies never achieve, and as thats all we did for the first 12 yrs its not a problem, and personally I'm glad the traditional methods are appreciated. 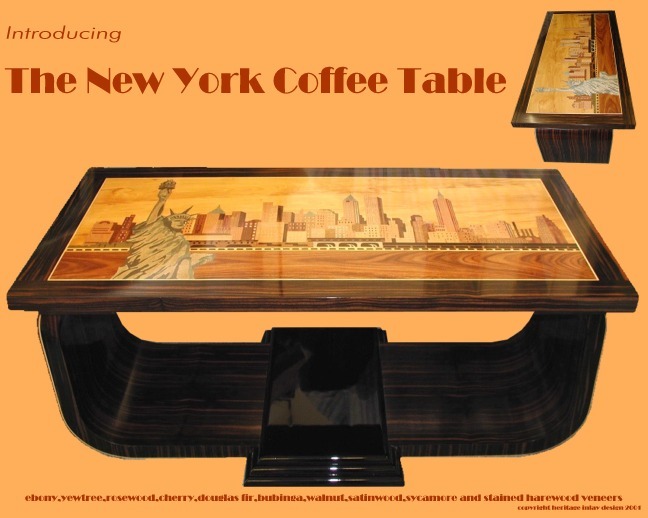 A good example of combining the 2 methods(hand cutting and laser) is our New York Coffee Table.This 2000 piece picture(designed and built March 2001) is made both with the laser(100`s of windows of buildings etc) and then the buildings were let into the sky with a scalpel along with other elements.Using either method solely would have been both impractical and costly . 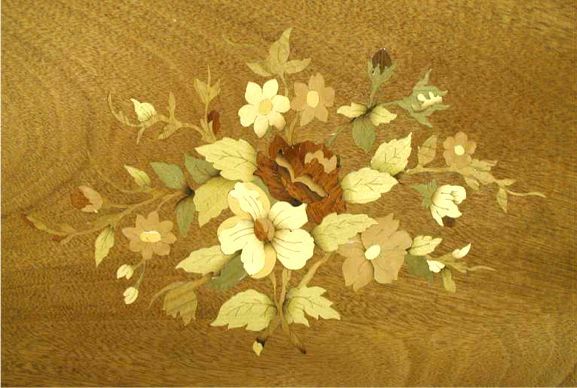 In fact we only added the laser to our facilities in 1998 , up until then we only supplied high quality Hand Cut marquetry and frankly did not see the need for a Laser Machine at all! Of course once the contract had been successfully completed ,it didn`t take long to start working the laser into our everyday work ,and now we produce more Laser Cut than Hand cut marquetry.The trick is using the right method for the best job and we are very proud to say that HERITAGE INLAY DESIGN LTD are the only company in England ,that excells in ALL 3 techniques, ensuring that our clients get the best possible marquetry,whatever the requirements and whatever the method. We now have 3 high quality American made machines, all of varying in size and power.This means we can have backgrounds and components all cutting at once to speed up production.